New, inspiring, simple and extraordinary things! February and March were busy AND fabulously inspirational! Last week I heard that a French software company had just launched a new social software which allows for a novel dimension in business service – namely “face to face” service – reducing emailing and allowing for more person to person contact. I am extremely excited about this development! Trainers have been up against companies and institutes offering e-learning and virtual classroom solutions to HR and training departments for too long. These “self-learning” applications and programs certainly have a valid list of benefits (especially for companies on big cost cutting and saving initiatives) – but these programs remove and lack a truly essential component – real time interaction and inspiration which supports hands on implementation. I am so looking forward to reliving this “new” touchy-feely-fun-face-to-face learning direction, which endorses my earlier message about simple activities being turned into extraordinary events by doing them with the right people. Earlier I went home to fulfill a dream – to visit a crash (herd) of rhinoceros (Naashorn) at the Palala Rhino Sanctuary in South Africa. I spent days “just being” with these magnificent animals who are rapidly becoming extinct as a result of rhino horn demand from Asia in their natural environment. 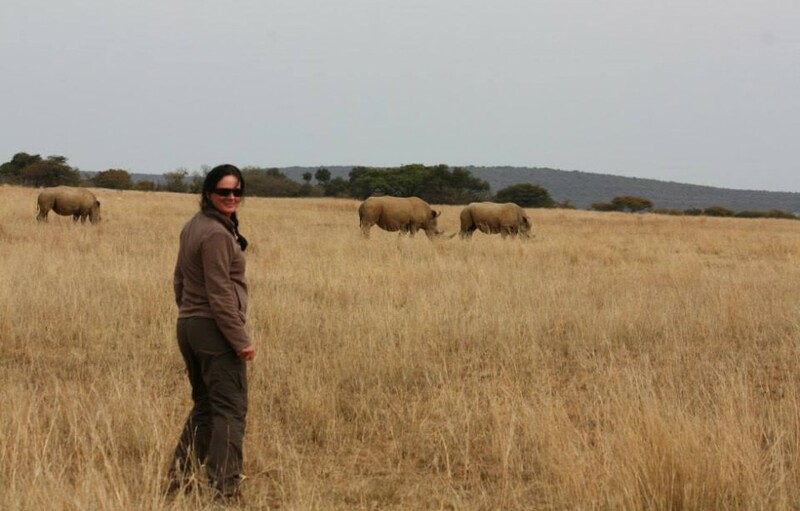 A truly inspirational experience of “simple things – an early morning walk in the bush – made extraodinary” – because of the presence of rhino. Here’s an account of my time with the Palala rhinos. We have just celebrated Easter, which always delivers reflective yet inspirational messages – good for everyday use. Check out this Easter inspiration! And finally here my belated “Happy Birthday” to all my March birthday-bodies. May your new year be filled with simple things turned into extraordinary events! See you at one of our Skills or Language seminars soon. I guarantee you a simple thing like improving your language proficiency will be made extraordinary at SALT! “Never doubt that a small group of thoughtful, committed citizens can change the world”.